Cordless vacuum cleaners include Handsticks, which are similar to upright cleaners but are lighter and smaller, and handheld vacuum cleaners, which are small and portable, making them perfect for spot cleaning and cleaning inside your car. Handsticks can often convert into a handheld vacuum, giving you the best of both worlds. 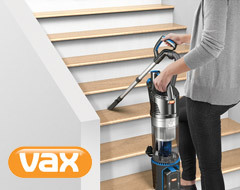 There are now full size upright vacuums that are battery powered which combine the power and capacity of a traditional vacuums with the flexibility and ease of use of a handstick. Cordless vacuum cleaners, or handsticks, are similar in design to uprights, but are lightweight with smaller capacities. They are suited to light cleaning such as regular vacuuming and are popular when space is limited. As well as providing excellent cleaning for smaller spaces, they are easier to store than upright or cylinder cleaners thanks to their compact design. This makes them ideal for use in flats where storage space can be limited and a large capacity cleaner is not necessary. Handheld vacuums are excellent for cleaning crumbs and mess from around your home, and for cleaning cars, caravans and other small spaces. They have a limited capacity, but are designed for light cleaning. 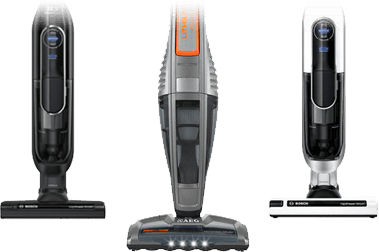 The power of cordless vacuum cleaners is measured in volts (V). 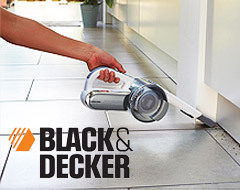 The higher the voltage of the cleaner, the more powerful it is and the more dirt it will be able to pick up. 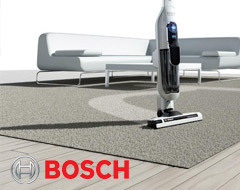 More powerful models can also power a rotating brush bar more effectively ensuring you get a great clean on your carpets. 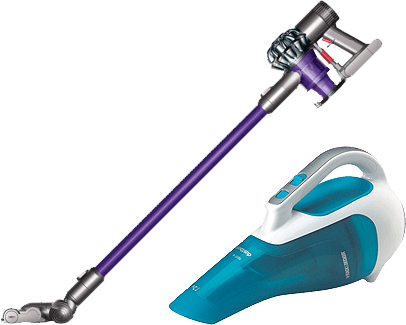 The capacity of cordless vacuum cleaners is measured in litres (l). 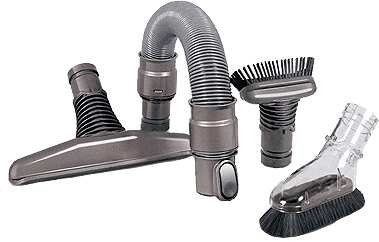 Handstick and handheld vacuum cleaners tend to have smaller capacities than upright or cylinder vacuum cleaners as they are designed to clean smaller areas. This means they will need to be emptied more often. 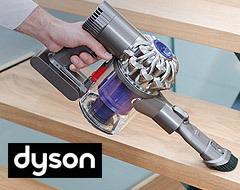 Cordless vacuum cleaners have a dust container to collect dust and dirt which is emptied when full, rather than a vacuum bag. Cordless cleaners use rechargeable batteries to power them, which need to be recharged when the battery is running low. The 'run time' refers to how long the cleaner will run on a single charge before running out of battery. 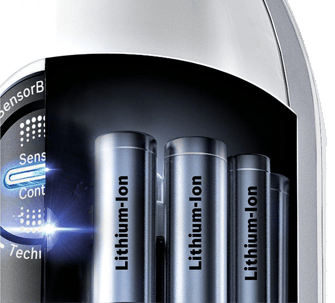 Vacuum cleaners with lithium batteries may have a longer run time, but battery times vary between different models. Many last 15-20 minutes, providing ample cleaning time for a small area, but others can last up to 60 minutes on a single charge. The other benefit of lithium powered vacuums is they charge much more quickly and generally "shut off" once they are fully charged so you don't waste energy while still plugged in. To battle against tenacious pet hair that can leave a musty smell in your home, some cordless vacuum cleaners include tools that make it easier to pick up hair. Whether it is clinging to the carpet or the sofa, the high speed brushes of mini turbo tools can lift and remove pet hair. As cordless vacuum cleaners can be easier to move around the home than upright or cylinder vacuum cleaners, they can be more suited to use for those with pets, allowing you to clean pet hair from all around your home. Although they pick up pet hair, motorised tools will also reduce the run time. Bring your unwanted electrical product into your nearest Currys store and we'll take it off your hands for free, even if you bought elsewhere. With a Care Plan, we'll fix or replace if anything goes wrong. 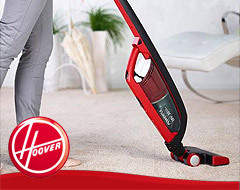 If your vacuum cleaner is under £150, we'll give you a new one on the spot.